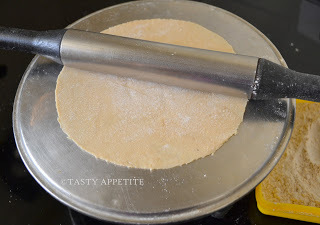 Want to know the easy recipe to make Phulka / Soft Chapathi ? Here goes the video and stepwise pics method for making garma garam Phulkhas at home. Phulkas are very light, soft in texture and melt in your mouth. 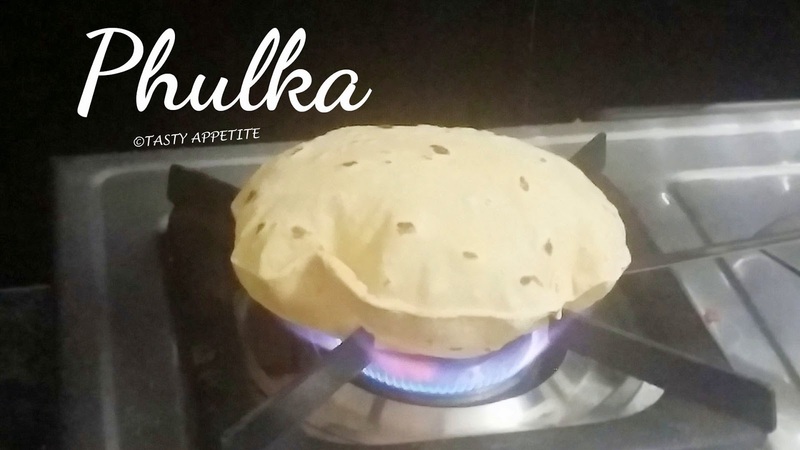 Few days back, when my sister-in-law Kavitha, showed me how to make Phulka, the way they puff up in direct flame as they show in ads, I was in awww and truly inspired. Now am gaining confidence to make soft phulkas by my own too. 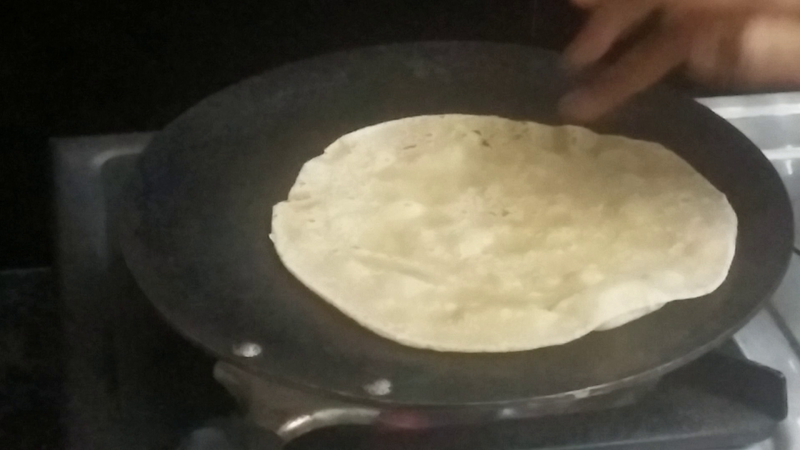 · Take whole wheat flour / atta in a mixing bowl. · Add salt and 2 tsp ghee / oil and mix well. · Sprinkle water little by little and knead it to smooth soft dough. 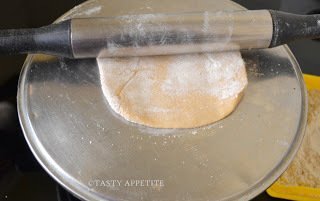 · Now cover the dough with a plate or cloth and set aside for 30 mins. 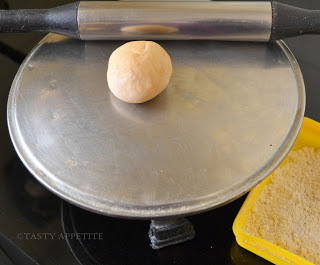 · Make medium sized balls out of the dough. · Take out one of the ball, roll it in your palms, flatten it and dust it with wheat flour. · Place it on the rolling disc and roll it with pin to thin circular disc shape as shown in the pic. 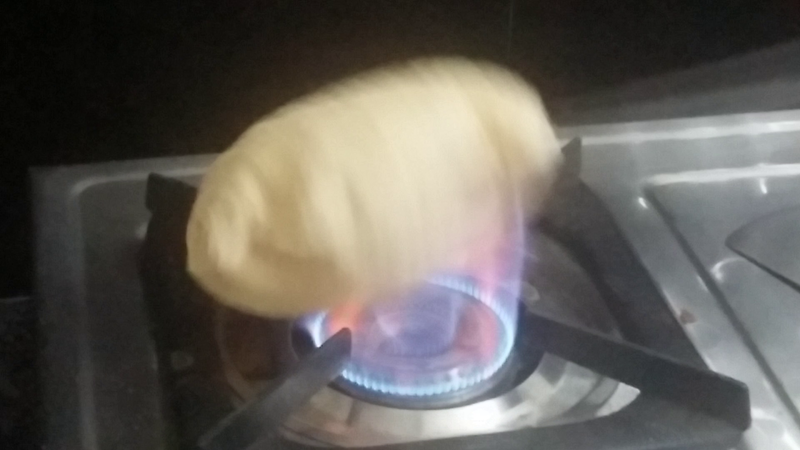 · Heat a tawa / dosa pan on flame. 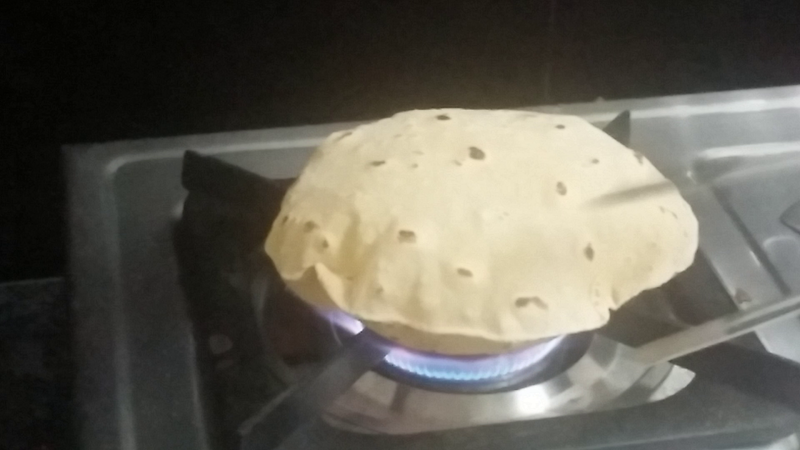 · Once the tawa reaches sufficient hot, place the roti gently on it. 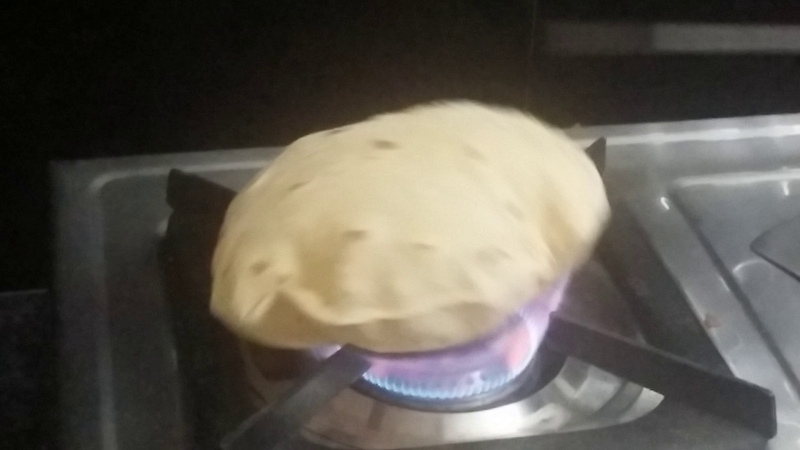 · Allow to cook on one side. 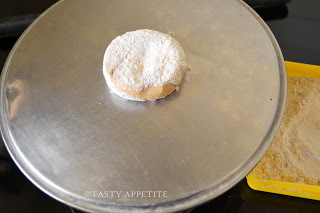 · Once the bubble starts appearing, ( it should be ¼ th cooked ) flip it to the other side. 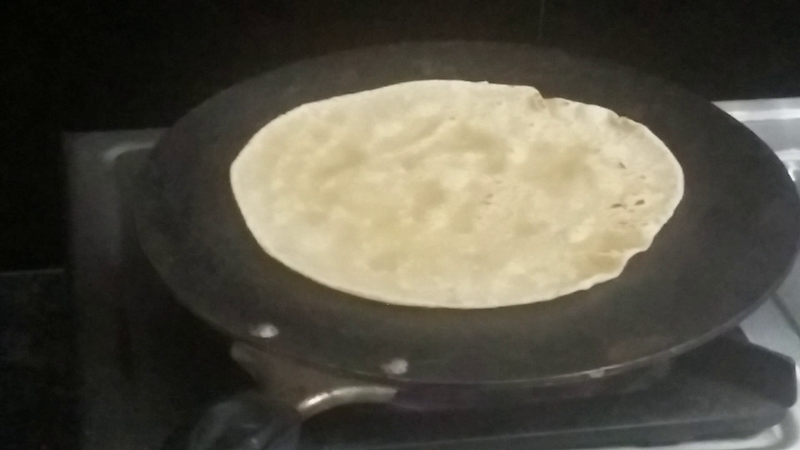 · Cook this side, until it is half cooked and slight brown spot appears. 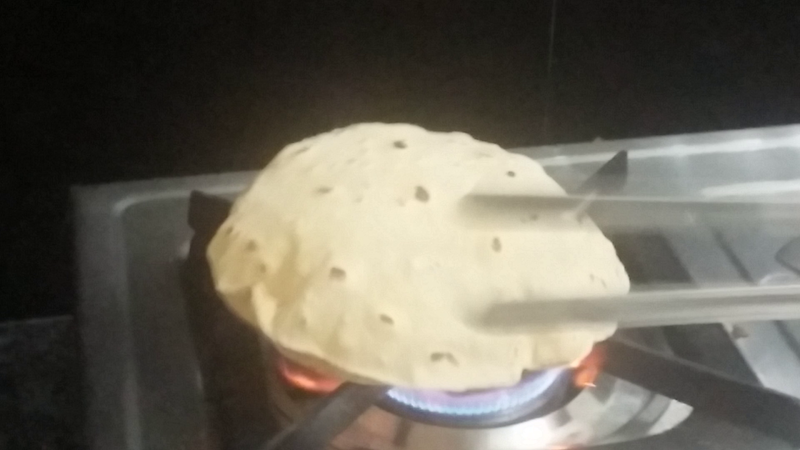 · Now hold the roti with a tong ( remove the tawa / griddle from flame ) and keep the first side which was cooked directly over the flame. 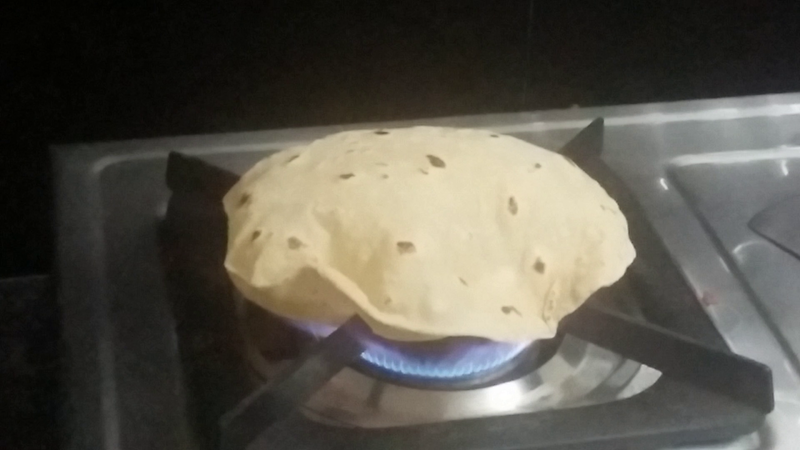 · The roti starts puffing. · Now flip it over to other side gently. 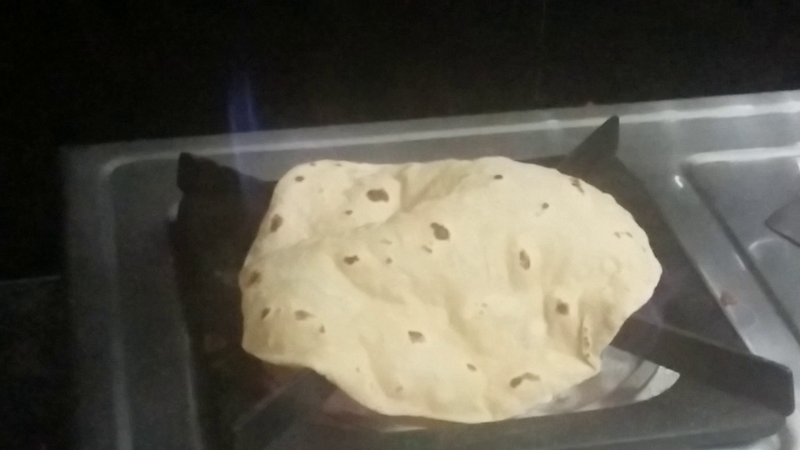 · The roti puffs up completely. 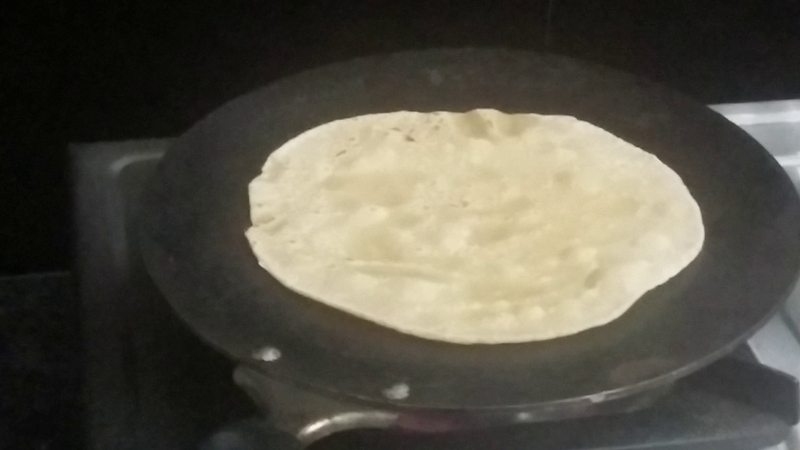 · Remove and apply ghee on rotis. · Sooper soft and fluffy Phulkas are ready. · Serve hot with any spicy curry, dal or any side dish of your choice. · We enjoyed the delicious combo of phulkas with chicken curry and cucumber raitha. Lovely tutorial Jay and what perfectly puffed phulka! Phuklas have puffed up beautifully.. Very well explained..
Wow ! At the nick of time ! nice attention to detail..looks soft and fluffy.